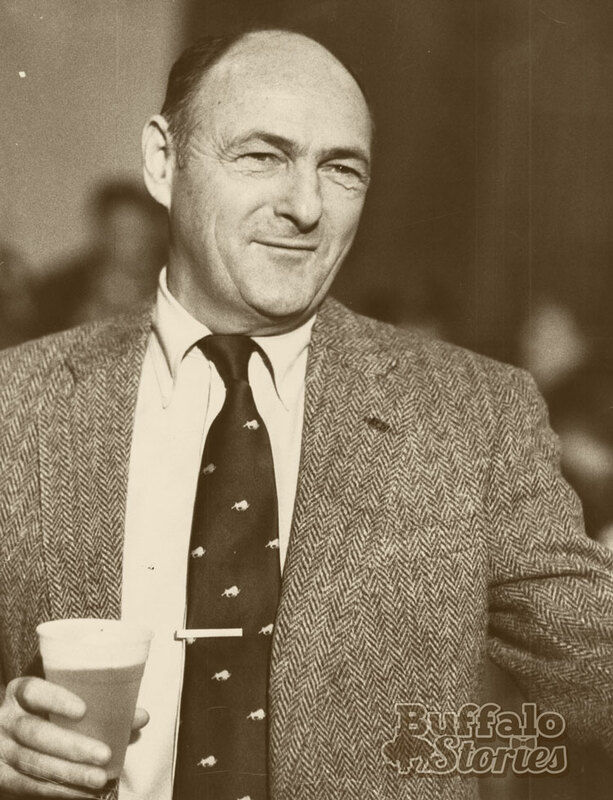 Mayor Jimmy Griffin was serving as acting Streets Commissioner in 1985 when he gave his famous advice, about staying off the roads. It’s almost difficult to imagine Western New York and especially a Western New York snowfall without the phrase that Jimmy Griffin joked would wind up on his tombstone. 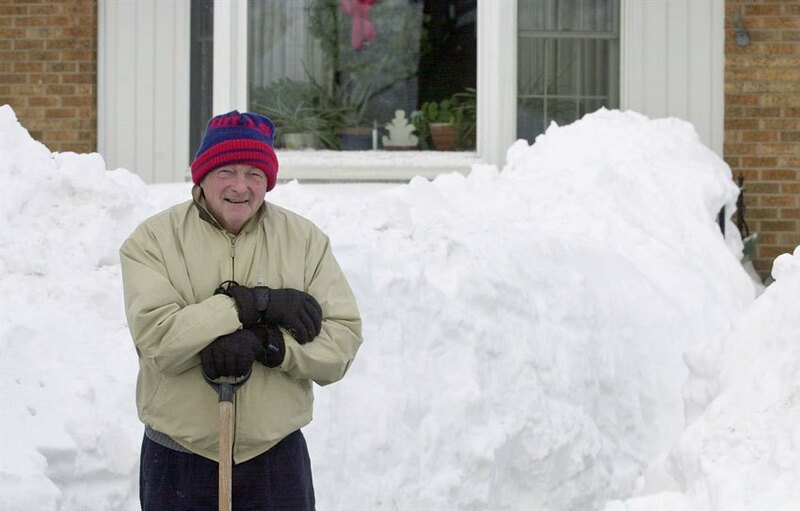 But while Buffalonians have likely been drinking their way through snowstorms for as long as there have been people here, we’ve only been “staying inside and grabbing a six-pack” for the 32 years since a blizzard descended on Buffalo in January 1985. It had been only been eight years since the Blizzard of ’77 and Western New Yorkers were still a little jumpy with memories of being stranded, 12-foot drifts, and people freezing to death in their cars. Heading into a late January weekend in 1985, forecasters were calling for as much snow as the city had seen since ’77. Ultimately, three feet of snow fell in three days, but the weekend timing was actually perfect. One of the lessons learned in ’77 was to keep people off the roads so you could keep the roads cleared. 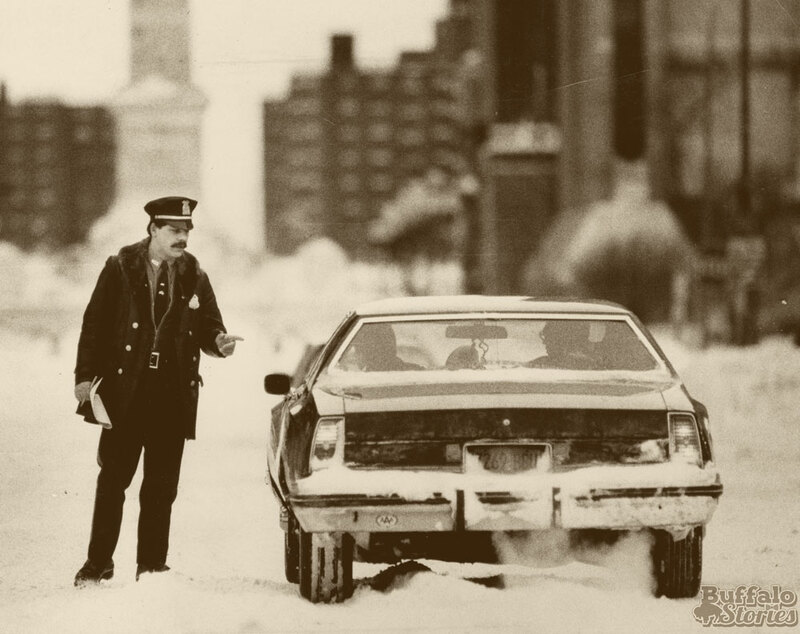 One would expect the mayor to be out front with snow emergency communications, but during the Blizzard of ’85, Mayor James D. Griffin was Buffalo’s acting Streets Commissioner, coordinating snow removal efforts from City Hall and the heavy equipment depot at Broadway Barns. Why? The Common Council had repeatedly rejected the mayor’s nomination of Joseph Scinta as Streets Commissioner. 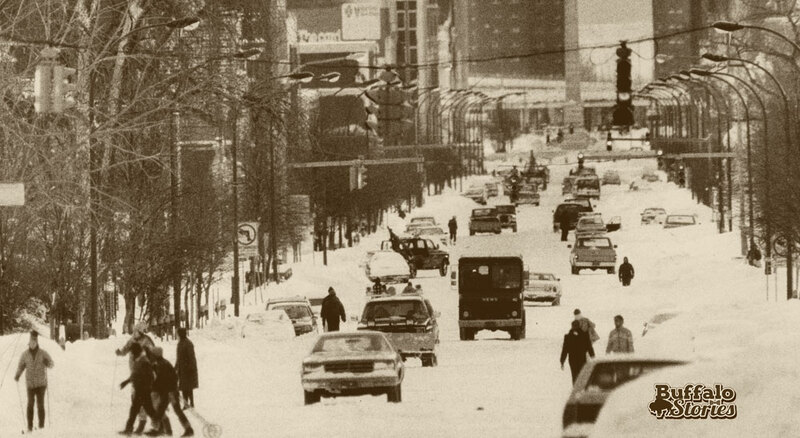 After the fifth rejection, in November 1984, Griffin told Buffalonians to “blame their councilmen when the snow was piling up” on city streets. When the blizzard hit two months later, Griffin was determined to show Buffalonians what he was doing personally to get the streets cleared. He even rode a few shifts on the plows. The mayor issued a driving ban and ordered the police to enforce it. But he also encouraged people to stay home and watch the 49ers and Dolphins in the Super Bowl that weekend, maybe with beverage in hand. The consensus was that most Buffalonians liked seeing Don Shula, Dan Marino and the Dolphins beat up in the Super Bowl, and most liked the job Griffin did in beating back the Blizzard of ’85. The News later gave Griffin high marks for his handling of the blizzard and its aftermath, saying he did “a good job” acting as his own commissioner. 1985 was a mayoral election year, and the Blizzard of ’85 was a central campaign issue. 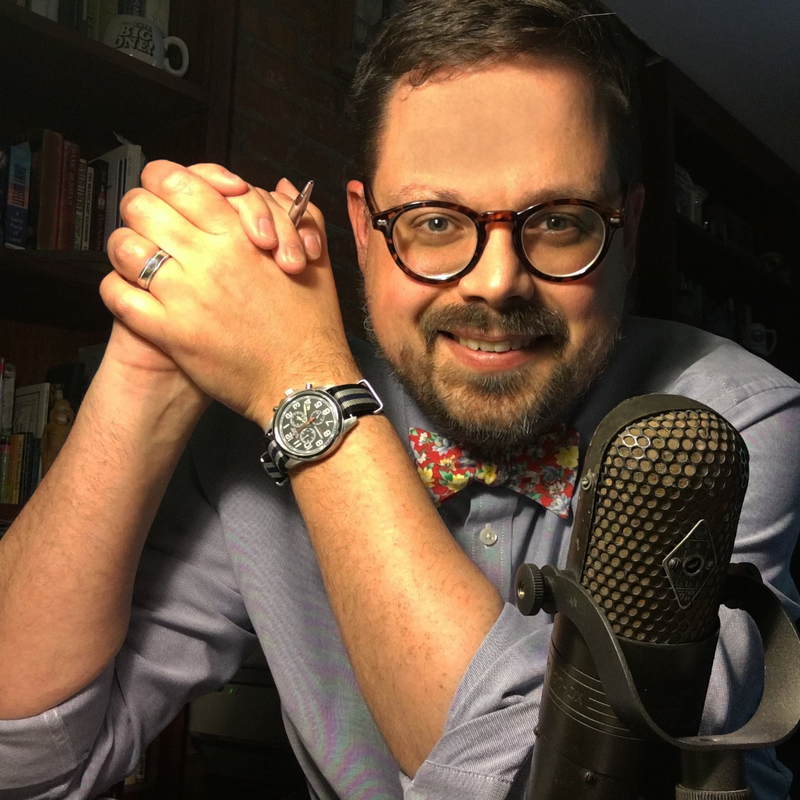 Common Council President and primary opponent George Arthur questioned the city’s preparedness and overall plan for snow fighting. “When you get 45 inches of snow, I challenge anyone to come up with a plan that works,” said Griffin. Others attacked the six-pack advice as “unbecoming a mayor.” Griffin would have none of it. Griffin was elected to a third term in 1985 and a fourth in 1989. Did we grab six packs? 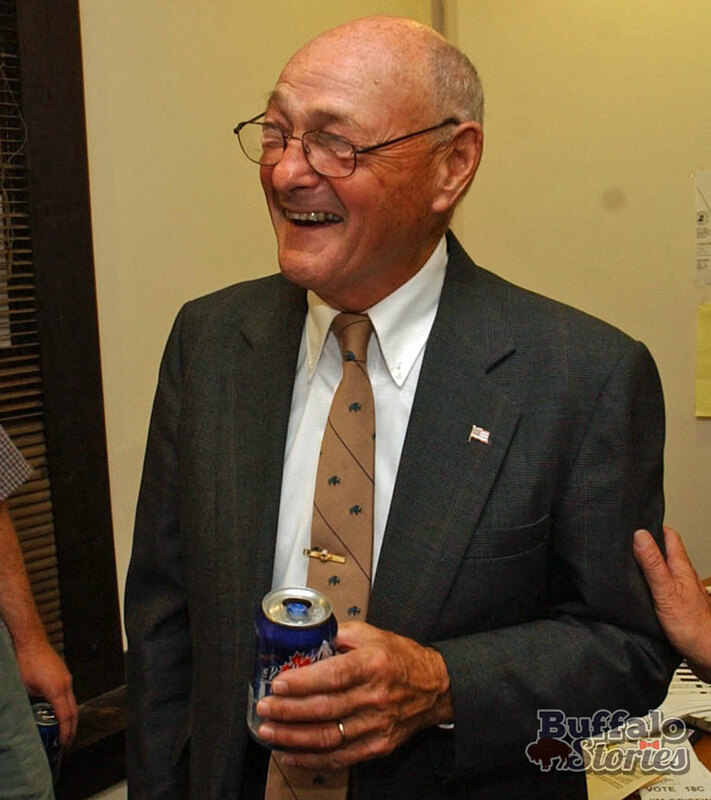 But did people heed Mayor Griffin’s advice, that first time it was suggested Western New York grab some beers and relax? In the days following the Blizzard of 1985, The News checked in with a handful of stores to see how they fared. The Tops Market at 2226 Delaware Ave. – today the spot is Big Lots— and the 7-Eleven on Sheridan Drive—now Romeo & Juliet’s Bakery & Café—reported big runs on junk food and beer as Western New Yorkers apparently dutifully followed the mayor’s advice.